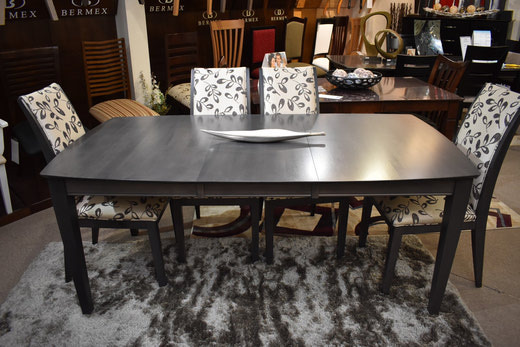 We have chosen to carry Bermex exclusively, because of their amazing quality, and vast range of options. 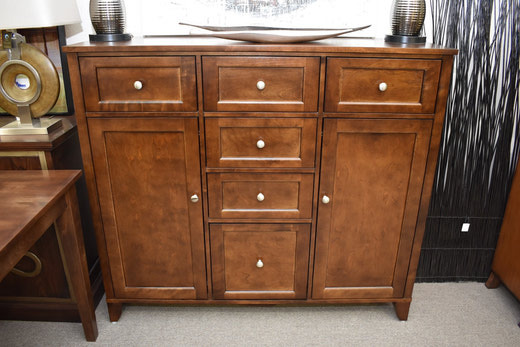 Best of all, it is made right here, in Canada, with solid birch wood. 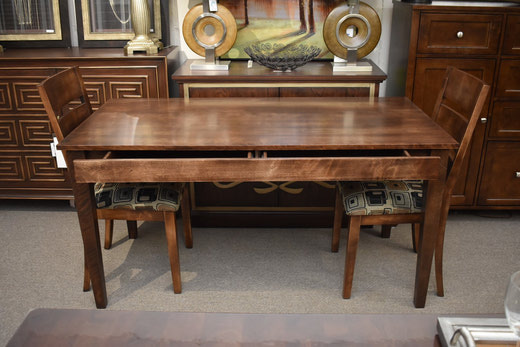 All wood is kiln-dried to 7% humidity, so it is already acclimatized to our dry climate, which protects it from shrinking and cracking. 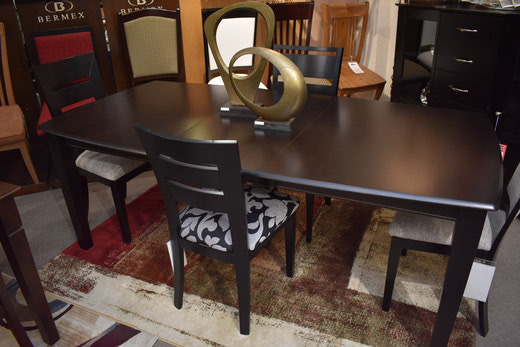 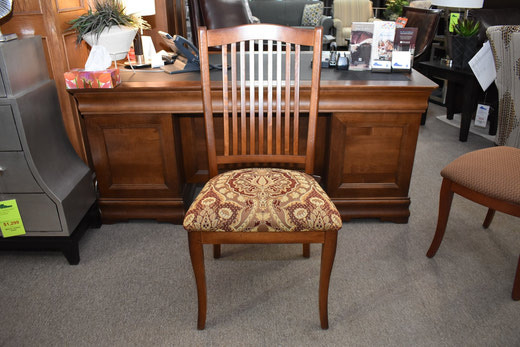 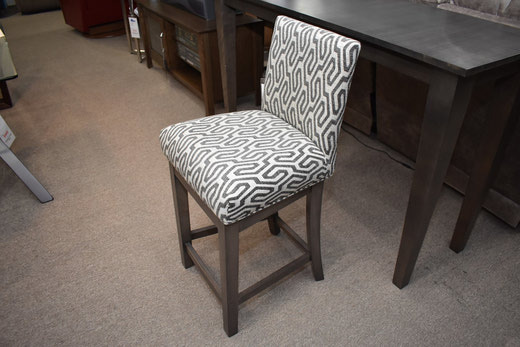 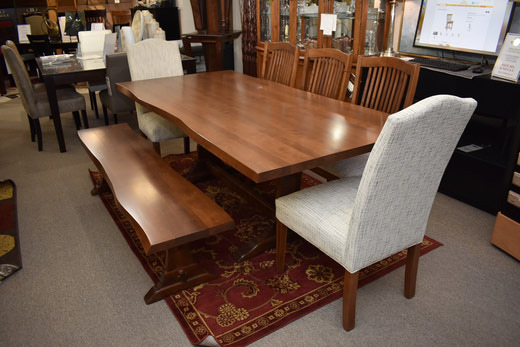 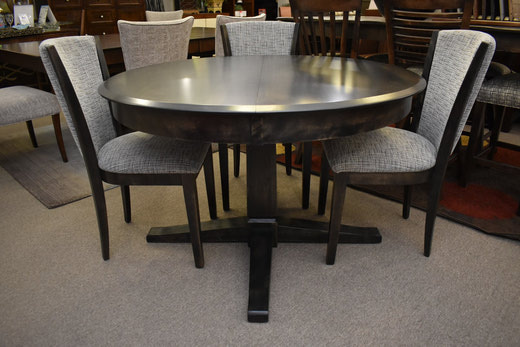 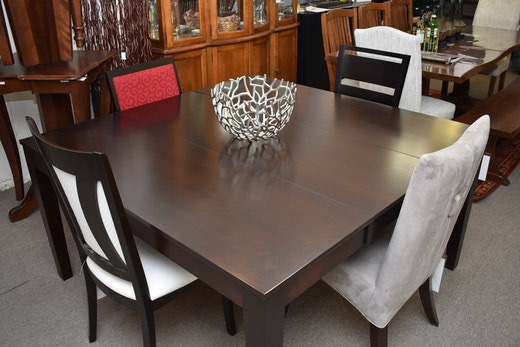 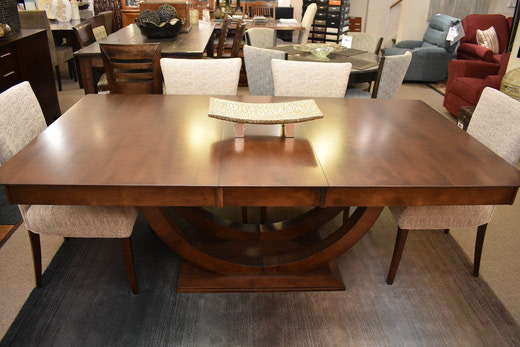 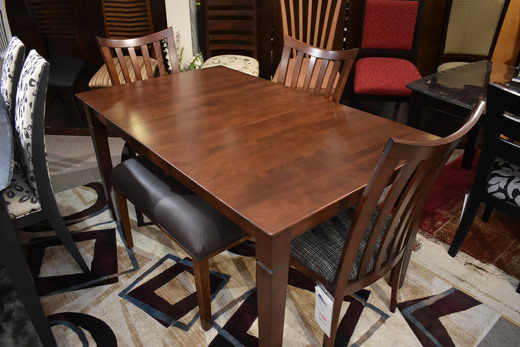 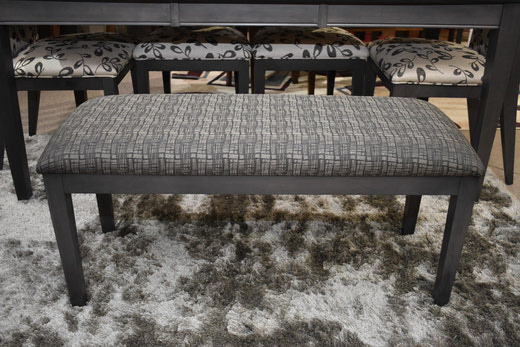 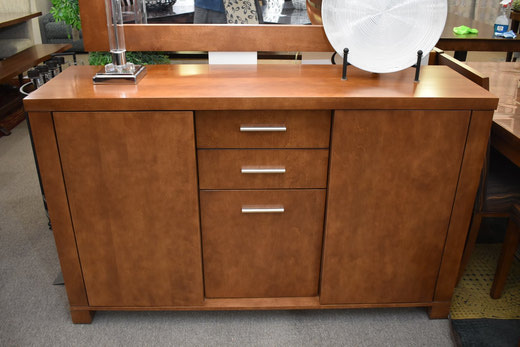 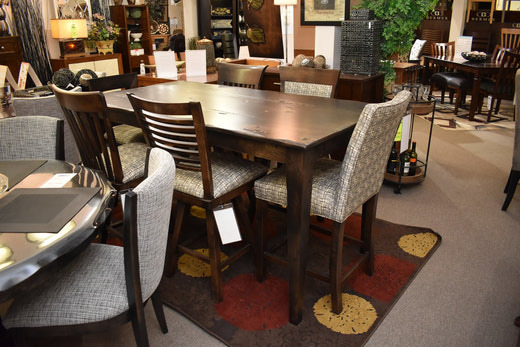 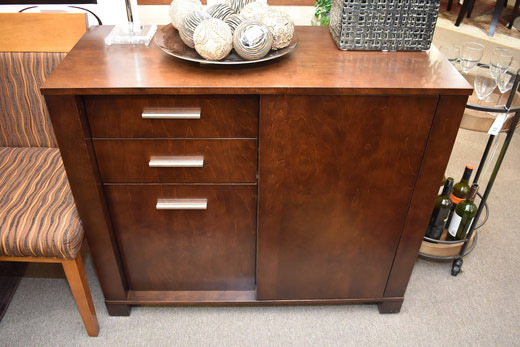 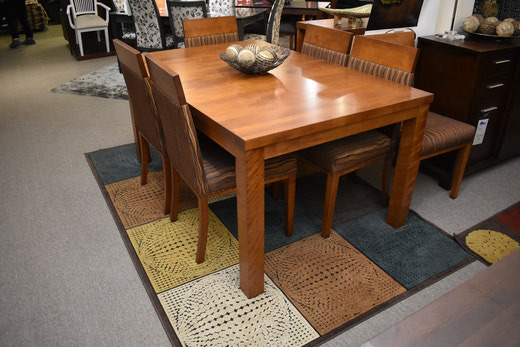 With more than 80 table sizes, 140 colors and stains, 190 fabrics and leathers, and over 400 chair and bar stool models, Bermex is sure to be able to build you your dream dining room furniture!